How would you like to receive income from a product that you don’t have to continually market, ship, or promote? Does it sound too good to be true? It’s not! On this episode of The Amazing Seller, you will hear from licensing and patent expert Stephen Key. Stephen explains how he got his start with licensing products, how you can get started, tips to save you money in the process, how to connect with potential partners, and how royalties work. This is a unique episode that will give you great insight into a profitable income avenue for sellers like you! Steps to start licensing your product! Learn from one of the best in the industry as Stephen Key takes Scott step by step through the process of licensing a product. The first step starts with analyzing the marketplace. Find your niche, find the problem you can bring a solution to or your improvement of an existing product. The next step is to have a professional create a 3D rendering of this product. You don’t have to actually create the product yet! Then create a sell sheet, this is what you will use to shop your idea around to potential partners. Lastly, you need to file a provisional patent application that gives you perceived ownership. Stephen masterfully goes through each of these steps in detail that could help you toward great success. Don’t miss this eye-opening episode of The Amazing Seller! If you have an idea for a product improvement that you think will take off, don’t get ahead of yourself and spend too much money. There are steps you can take to elicit interest and even funds from potential partners that will get the product produced. On this episode of The Amazing Seller, Stephen Key walks through the process of taking a product idea to market. You don’t want to miss his valuable insights that could save you money and help you strike a deal that will bring you royalties for years! If you’ve decided that licensing your product is your next step in building your business, you’ve got to find partners. How do you find someone willing to buy the licensing rights from you? On this episode of The Amazing Seller, Stephen Key gives some helpful advice and examples that will set you up for success. One exercise Stephen suggests is going down to your local big box retailer and find the place on the shelf where your product would go. Once there, look at the companies that are in that space, those are the business you want to try and partner with. You already know they are in a high-value space and if you approach them with an improved product, it’s a win, win scenario! To hear more insights from Stephen, make sure to catch this episode! How do Royalty rates work? Are you interested in licensing your product and want to know what to expect with royalty rates? You’ll learn a lot about royalty rates on this episode of The Amazing Seller! Scott’s guest, Stephen Key has all the information you need to start your journey toward licensing your product and getting a good deal on royalties. Stephen does a great job explaining what you should expect as you get started in this business arena. If this subject has piqued your interest, you don’t want to miss this informative interview! [2:22] Stephen Key joins the podcast. [7:00] How Stephen got involved with licensing. [9:00] How you can get involved in licensing. [20:00] Stephen walks through the process. [29:00] How to connect with partners to license your product with. [38:30] How to connect with Stephen. …license your product to major brand and collect royalty for years. Yeah, kind of different. Something we haven’t really talked about, something I wasn’t even aware of as being someone that might not invent that product. The cool thing is I’ve invited on an expert Stephen Key who is actually a licensing expert and he talks all about this and really is some eye opening stuff that he talks about and really also how to discover product ideas and then how to improve upon them and then how to pitch them to major brands to possibly get them to sell your idea and then you collect royalty. Now you guys have heard me talk about Shark Tank a little bit here and there and I am a fan of the show, yes it’s some entertainment Kevin O’Leary and everything is he really that way? I don’t know, he’s a character on the show but you can learn some valuable business high level stuff when they are talking about investing in products but not necessarily that everything is a hundred percent true and accurate and all those things. I’m sure things are made a little bit better for the show and it’s funny because Stephen calls me out on that in this episode but you guys have heard Kevin O’Leary talk about maybe collecting royalties on a product like a dollar per unit forever or maybe for the first five years or something like that. That’s what we are talking about. We are talking about taking your product that you may be modified, made it different and then you pitch it to a brand. It doesn’t even have to be a major, major brand that you might see on shelves. It might be just someone who has a lot more reach in certain retail stores and then you get in their product line. Again it’s a very interesting topic something I haven’t talked about at all so it’s brand new. I think you are going to get a lot out of this whether you use this information now or in the future or if it’s just something to think about and keep in your back pocket I think it’s going to be definitely valuable for you. [00:02:01] Scott: Now the show notes can be found at theamazingseller.com/345, all of the show notes, the links, the transcripts all will be there so if you want to download those definitely head over to the show notes page. All right guys I’m going to start talking so you can listen to this very, very interesting topic that I had with my good friend Mr. Stephen Key. Enjoy. [00:02:21] Scott: Well hey Stephen, thank you so much for hanging out with us today man how are you doing? [00:02:26] Stephen: I’m doing great Scott thank you very much for having me. [00:02:28] Scott: No problem, this is exciting. Before we got on we were talking a little bit about Shark Tank and you told me that it is not real. Come on Stephen really, are you kidding me it’s not real? I was believing it this whole time. [00:02:40] Stephen: No I hate to burst everyone’s bubble here but stop watching that show. [00:02:44] Scott: I love it. [00:02:45] Stephen: There is nothing real about it. [00:02:48] Scott: It’s good entertainment. [00:02:51] Stephen: It’s good entertainment and you can learn a little bit but that’s like gambling. It’s so hard to get on the show, it’s so hard for them to help you and at the end of the day I will show you ways to increase your chances of success and not going on Shark Tank and all that. And I learned of you through Nick Loper from Side Hustle and he basically said, “He’s probably a good person to have on the show.” And myself personally didn’t even ever think of licensing a private label product technically that I didn’t necessarily invent. I think that’s one of the big things that people think like if I’m not the original inventor of a certain product how would I license that product? That’s where I’m coming at and I think my audience would be like, “This sounds interesting Scott but how does this actually happen?” You are going to actually get us up to speed here right? [00:04:07] Stephen: Yeah I’m going to share all this great stuff and I think your audience is going to be shocked because the old way of bringing an idea to market, the traditional way is that, “I’m going to start a business, I’m not about running the business, I don’t want to run a business. I want to collect checks and I want all those companies to do the work for me, all the heavy lifting.” That’s what it’s all about. Licensing is basically… And it doesn’t have to be your idea it could be somebody else’s idea. It doesn’t even have to be a new idea but you are going to take a mark, you are going show… It has to have a unique benefit though don’t get me wrong. You have to come out with an idea, a simple idea. You don’t have to change the world or reinvent the wheel but come out with a small improvement and that small improvement you can license to a company that is selling something similar. It’s as simple as that. This appetite for new is so great in our country and all these companies are looking for something new but it doesn’t have to be this great big idea people think it is, no way. [00:05:14] Scott: Okay, cool and again I mean my audience is primarily private label sellers whether it’s on Amazon, they are on ecommerce you are taking a product and you are basically making some improvements. I always use garlic press as one of my examples and so if we have a garlic press we want to read all the reviews and look at all the negative reviews and make it a better product. [00:05:35] Stephen: I love that idea. In fact what’s amazing what you just said Scott that’s the largest focus group in the world those reviews and people like to b**** so a lot of companies are doing the same thing. They are looking at the reviews on Amazon and they are looking at what people are complaining about and if you can look at that and come up with a slight improvement you can go back now and find those companies that are manufacturing that and present them that small improvement and collect royalties for that small improvement and you don’t need patents. You are hearing about patents on Shark Tank, stop it. It’s not about patents anymore. It’s about speed to market. [00:06:21] Scott: I love that. I always go with the MVP, the minimal viable product. You get it there, get results, start to see what’s happening, all of that stuff and this way here then you can react to what the market is actually saying. That’s why I love that and so what you are saying… I love it that you are like, “Let’s go go go.” I like that because I’m an fast taker I like to take action and get out there and get going. Maybe what we can do though is let’s start from the beginning. Actually you know what I’d like to do before we even do that? Give us a little bit about your background. How did you even stumble on this licensing play? How did you get into this? [00:07:00] Stephen: Well I’m a young man I’m going to school. I’m a business major and I hate business. [00:07:07] Scott: Oh come on. [00:07:09] Stephen: So sure enough I take an art class and I love creating things with my hands and I went down that journey of how to make things and sell them that’s all it was and my first job was at Worlds of Wonder. We created Laser Tag and Teddy Ruxpin and I’m overseas in China making sure that those teddies are going down that assembly line and that they are looking great and I’m hating that too. I’m realizing that the inventor of Teddy Ruxpin was collecting millions of dollars in royalties and that’s when my dad had said something to me that didn’t really make sense but it did when I was standing on that production line. In order to create great wealth you are going to have to find something that does not require your hands or your presence and you need to find something that has a multiplying effect and licensing just makes sense. Ken Forsse the creator of Teddy Ruxpin licensed that idea to Worlds of Wonder and I saw it firsthand. So I quit that job and started coming out with slight improvements on existing ideas and showing those to companies and they would say yes and if they took it they would bring it to market for me and I would collect royalties. I could really design my life and they were working for me. That’s how it started, that was about over thirty years ago. [00:08:30] Scott: Wow, there is probably a lot to take in as far as how the whole process works so what I’d like to do is go back to a beginner like myself. I’m a beginner in this, I have no idea about this and you and I just met for coffee and you are like, “Scotty did you hear about this licensing thing?” And I’m like, “Stephen I know what licensing is but how can I do that? I mean I just take a product make it a little bit better and then I sell it as my own as a private label seller like I’m doing that.” What does someone like me do with that product now that I have it I’ve got it selling on Amazon, it’s proving that people are buying it, they are selling it, they are giving me good reviews? What do I do? [00:09:09] Stephen: Hey this is even easier than that, even easier. You are looking at products that are doing really, really well on Amazon and you are looking at the reviews and you realize maybe it’s too big or maybe it’s too small or maybe add one little feature. You find a 3D computer generated graphic artist on some freelance site and you show him a little sketch. It could be just an awful sketch and these guys can create your idea, your vision with graphics, 3D computer generated graphics that looks real like you can buy it so you can get that done for fifty bucks, $50 you gotta be kidding me! I find this guy and he creates this and it looks wonderful. That’s the first step. See that first step was studying the marketplace, that’s what you did, you found an opportunity to make something better. And then what you want to do is find companies that are selling that product. That’s so easy because you are doing that now. Send them a one page sell sheet. Basically it’s an advertisement that’s all it is and you have one line at the very top. That one line is your one line benefits statement. Why is it better? And then has a couple bullet points of the features and has a picture of your product. It doesn’t even work, you haven’t even created it yet. Then what you want to do you want to file a provisional patent application. It’s called a PPA. Now I’m a big patent holder. I believe in patents but not for all of these other ideas. You just don’t need patents but you need perceived ownership and you can file one yourself for as little as $65 and put patent pending on your sale sheet so now you have this perceived ownership. Now I’ll tell you this, all the licensing agreements I’ve seen I see one once a week now from my students no one has a patent. So throw that notion out the door. [00:11:12] Stephen: Just throw it out the door. It’s not real anymore because the speed to market is all about selling. You know that, your audience knows that. Its first to market let’s sell a bunch of it. So you can put together this one page sell sheet it doesn’t even have to work Scott but you are showing them the benefits. They get it. So you show them, if they like it and they… And what’s really great about this is you’ve already studied the marketplace. You know these guys are selling something similar so you know there’s demand and you know it can be produced because you are doing something similar to it now, they take it and the next thing they do they license it or rent it from you. You still own it and every time they make one, every time they sell it you collect royalties. Guess what, you know what’s really great about this? When you do this that manufacturer is paying you loyalties and everybody else that’s selling it on Amazon or wherever you are collecting royalties from those guys too. [00:12:10] Scott: Nice but my only question would be this. Do I go and do I bring that to someone, a manufacturer in China or is that States side? [00:12:20] Stephen: Well it’s amazing. The world’s changing very, very quickly and I would have told you years ago don’t mess with China. But that’s not true anymore because they do respect intellectual property, they are looking for new ideas, they have to. It’s so competitive now even those guys are looking for an edge now. It’s not about being the cheapest anymore because they are not even the cheapest anymore so I would suggest first of all find that company in the US that’s manufacturing over in China because everybody does, everybody does so find that guy. You’ll find him, he’ll be out there and reach out to him first because the communication is going to be easier and faster. If you have a product that is a generic, that’s selling well just reach out to a manufacturer over in China, build a relationship, talk to them for a while and tell them what you are trying to do and tell them you’ve got a provisional patent application. Find that company that embraces open innovation that’s the catch here. Do a little homework on these guys to make sure they are not knocking everybody else off or they are doing something weird. Find one that’s going to respect you, find one that wants to work with you. It’s all relationship based. You will be surprised at how many students I have now that are licensing their companies over in China now because they need a point of difference. It used to be just cheap, cheap, cheap that’s not true anymore it’s changed. It’s a big world. 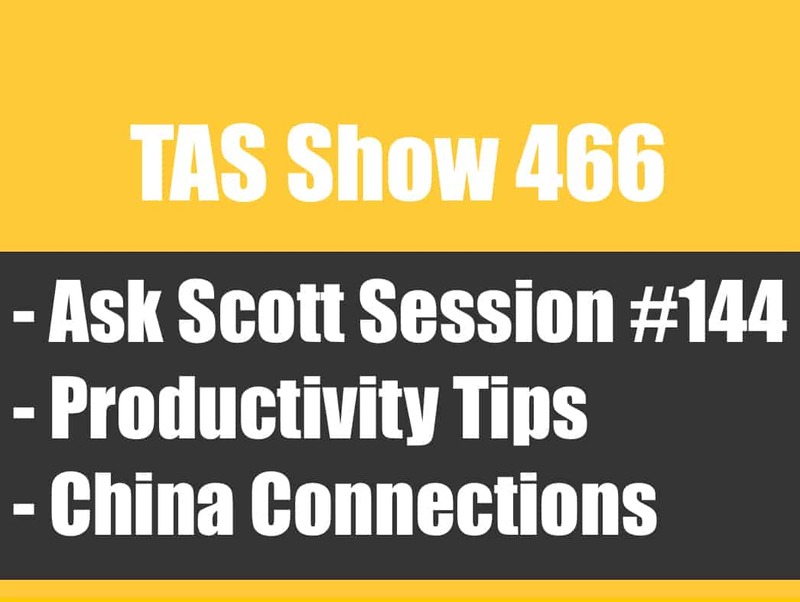 [00:13:46] Scott: Okay because I mean my first thought is I’m going to go ahead and I’m going to say, “Okay China, I’ve got this product,” maybe I can’t find a supplier over here that’s making it or they are making over there. Again they are the middleman but I want to go directly to the source if I can. I find out where they are making it, there’s ways that I can find out where the US supplier is getting it made, trace it back. Let’s say I find that company and I reach out to them and I say… There’s actually a product right now that I’m actually developing with a partner of mine and we’ve already done very similar to what you are saying. We’ve already filed for a provisional patent on the item because we didn’t want to present our product out there in the marketplace without having it saying ‘patent pending’ even though I know that that doesn’t mean anything until you have a patent. But it looks nice and to the person that doesn’t really know might be, “Okay cool I’m going to stay away from that because they’ve got a patent pending on it.” My other concern is and this is a concern that we’ve had is well if we give it over there to China and they’ve got this mold that I just created, I’ve got this 3D model made, I’ve got everything done and all we are doing is taking something that they already currently create and we are just adding modifications to it; a little bit different size this that and the other thing and now we give it to them, even though I think I’ve got a good relationship with them, what’s to say they are not going to then take my mold and use it for one of my competitors? Now and again I know a lot of people are going to think that and I can see you are ready to tell me don’t worry about that but it’s a normal reaction for a lot of people because I’m spending $3,000 to $5,000 on a mold, that’s my mold right? [00:15:30] Stephen: Hey, it’s real, it’s going to happen so what are you worried about? [00:15:34] Scott: So just go out there and market the heck out of it and get it to market and be the first to market. [00:15:38] Stephen: Yes because look at it this way, Apple pretty big company right? How many thousands of patents do they have? They have an army of attorneys. They are chasing everybody trying to stop people too right? All right so the bottom line is this, you can’t stop it so if you make that improvement that’s selling so well congratulations. That’s the way I look at it you are not ever going to own everything, I don’t think people own anything. I don’t care how many patents you have you don’t own a thing it’s. It’s just fair game now so it’s speed to market and that’s why I think your audience is really going to love this because they know that too. But don’t think you are going to protect it, don’t think you are going to keep everybody out. Yeah the small guys they’ll be scared of it. The bottom line is you are going to sell so many that patent won’t even be an issue and you’ll be off to another product. [00:16:32] Scott: Okay so then the manufacturer and again I’m not really going to be able to stop them unless I lock the thing down which I was told that’s actually a strategy. You actually tell them that you have a box that you have locked and someone’s in control of that whole thing literary. That’s what someone said that if you want to protect a mold that you have created you have it put in a lockbox in the factory and you basically have one person from an inspection company go there and unlock it. That doesn’t mean that they are not going to take that mold and go make a reproduction of it somewhere else so they don’t have the design. [00:17:02] Stephen: Hey, you know what’s amazing? I was working over there years ago and we were working on some special project and everything was hush hush and they were working on the competitors next door I mean ten feet away they were working on the competitors. They look pretty differently. So I just think you have to switch your mindset. You can’t protect it no matter if you have the biggest box and the biggest lock. They are going to be selling it off the back door a different way. [00:17:38] Stephen: Yeah because you are not going to come back with the next one. [00:17:41] Scott: Okay I got you. [00:17:57] Scott: Got you, okay. You are a resource in a sense to them, you are an innovator. [00:18:03] Stephen: You are bringing new business, you are a great guy they are going to love you. I’ll tell you how much they are going to love you. If you keep on ordering volumes they are going to love you even more so they are going to be doing some stuff on the side okay big deal. [00:18:18] Scott: Okay so basically like you are saying you are building that relationship, you are letting them know that you are the innovator in a sense you are making these tweaks, you are making these ideas, you are paying for the mold cost all of that stuff. If they are going to basically take you off you are going to basically go somewhere else and you are not going to have your business and they are not going to have your new creative ideas. [00:18:38] Stephen: Hey the fastest way of stopping your competitors is having your competitors make your product. I did this with these little guitar picks at one time I was the largest producer of these little guitar picks and I made them out of skulls and vampires and monsters and Jimmy Dunlop at the time was selling guitar picks to all the new musicians and he was making them for me and he didn’t understand these crazy little designs I had. He didn’t get but I told him. I said, “Jimmy you don’t understand. I’m going to sell more guitar picks than you are.” He goes, “How’s that?” He goes, “Because I’m selling them to fans?” If anybody was going to knock me off it was going to be him but he didn’t because he was making them for me. Before you it I was selling more than he was. He was loving me. [00:19:26] Scott: Got you, yeah that makes sense, that makes total sense. What does the process look like? Let’s just take people through even my experience like right now. I’ve got this product that I’ve had a 3D model made already they’ve already agreed to the mold cost all that stuff I’m ready to go I’ve just got to make the decision to go with it. What would be my next move? Would I go and produce the product or would I have this thing in place of the licensing play next? When would that all come into the equation? [00:19:58] Stephen: Well first of all I tell everybody I don’t like to spend my own money Scott and I want everybody working for me. So if I have an idea what I could do instead of spending my own money, I might find someone else that wants it, I might find a retailer that might want it, I might find something that helps me pull it through. So for instance, let’s say I had a product that I was going to sell great at Target or Walmart whatever and I might show it to one of those buyers and say, “what do you think?” “Oh we love this Steve.” That type of demand, I can go back to a manufacturer really quick to say, “Look I got demand at Walmart.” That type of pull through is going to help. They’re going to pay for your molds. You know because it says volume going through the door. It’s called pull through marketing, it’s really, really simple when you think about it. If you come up with an idea, I wouldn’t even test an idea that I didn’t even have, I’d put it on Amazon or whatever and fake it and see if people will order before I even make it sync. I wouldn’t make anything like that anymore. Everybody’s testing and you can test today without going in production having 5,000 in your garage somewhere. That’s crazy. Test the market, find the demand, find that manufacturer that wants to supply it and say look I’ve got a lot of volume coming through the door now. Because you don’t want to be floating that money yourself, do you? [00:21:20] Scott: No, if I don’t have to I wouldn’t. I wouldn’t want to. No. [00:21:23] Stephen: I wouldn’t want to either. Find a partner, see the thing about licensing is that you’re finding that perfect partner. Maybe you carve out Scott that you’re going to tell this company you’re going to license it to that’s got great distribution at Walmart. You say, “Look I’m going to do online, I want to carve it out so I have part of the business still.” Licensing you can carve out so many different ways but it’s really finding a partner that Scott, that has relationships has manufacturing, marketing, advertising, distribution, shelf space and they’re going to help me bring it to market so much faster than I can. See I tell everybody because of the knockoffs which you just mentioned? The copy cats are going to be there, so you’re selling online which is great and there’s a lot of business there but there’s a lot of business at bricks and mortar still too, there’s tons of it. I want to cover all my bases. We have a lot of students that do produce their own product, they sell online and then they’re going to license the company that’s going to do the stores. So they just carve it out. So licensing is really leveraging a power someone else that has, that’s bigger than you are. [00:22:37] Scott: Well I was going to say but that comes down to then having those relationships beforehand and that takes time. I mean you’re going to go out there and figure out who’s going to be the players, who’s going to be the potential partners that could help you out. [00:22:48] Stephen: Okay, let me tell simple that is now. [00:22:51] Scott: Okay, good, tell me. [00:22:53] Stephen: Everybody is on LinkedIn. I mean if you’re not on LinkedIn, come on you gotta be kidding me. I mean I can reach out to any company, any buyer, anybody in marketing sales on LinkedIn and I can make a small introduction I don’t want to pitch but I can get their name, it’s really simple. I have students that are pitching ideas every single day. They’re pitching ideas and are building relationships with companies. So another thing you can do, go to LinkedIn, call them directly, I talk all about it in my videos and articles and books, but you know what else you can do, go to a trade show. I’m going to go to a trade show next week. I’m going to The Kitchen Trade Show in Chicago, there’s going to be 2100 companies and there’s thousands of those guys that want ideas and I walk the show. I build relationships and I just feed them ideas. So it’s not as hard as you think it is. Let me explain why it’s not that hard. Companies need us. Open innovation means a company will take ideas from the outside. I might have 20 designers working for me and I can tell you those guys are not happy. Any designers that’s working for a company, they’re not happy, they’re getting a paycheck, they’re not getting their name on the product, they’re getting a lousy paycheck. But for us creative entrepreneurs, this is our income. We’re much more motivated to show them the next great idea. So when we submit an idea to a company, they don’t have to pay us. They only pay us when they license it from us. So it’s a perfect world. [00:24:22] Scott: Okay and the thing that I’m struggling with a little bit is and is not really struggling but where I’m coming from. Because I’m at, like I want to get that product to market myself like right now because that’s what I do. That’s what my audience does. 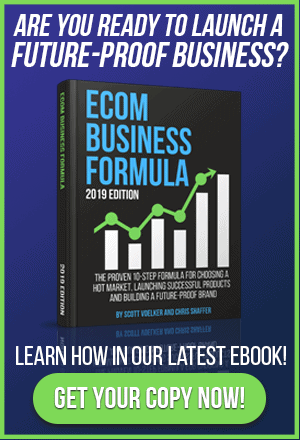 [00:24:37] Stephen: Like we want to go out there and we want to start selling in our primary channel when we start because it’s easy, I say easy it’s easier to get started where the traffic already is which is Amazon. It’s a buyer’s search engine, 244 million plus you know customers on there right now with credit cards, prime shipping, get it in a day, even sometimes the same day. So I can instantly launch my product and then have sales almost the next day if I want to start running sponsored ads and all that stuff. So my thing is, with what you’re saying is go to the… Let’s say I go to a trade show and I have a kitchen item, let’s say I have a garlic press, I’ve made some really nice tweaks to it. People have complained about this, that the other thing. I can show them like look at all these reviews, people are saying that they hate this, mine fixes that problem and because of that I’m going to be able to create this. It’s not created yet but I’m going to create it and if you’d like to be a partner in this, you know I could show you. Okay, so you got a better idea? [00:25:29] Stephen: I got a better idea. Much better, much better. Go ahead and do what you’re doing. Show demand. [00:25:37] Scott: Okay and that was going to be my next question because I would prefer to go sell it and then go I’ve already got sales over here. You know what I mean? [00:25:44] Stephen: That’s the fastest way of licensing an idea. I have students that come to me that have been selling. Like I have a twelve year old boy that’s selling on Amazon, he did a million dollars on his own little like a coffee mug with a little basketball hoop. Okay, so now he’s in business, his parents have been running this business for him, shipping it out all the kind of great stuff, they’re finally getting tired of doing it. So they said, “Steve, can we license it?” I go, “Yeah absolutely you can.” Because you’re going to go to a company now that’s got great distribution and say look you know I’m a mother and father, full time jobs, we got this little product we’re selling on Amazon, we do a million dollars a year. You’re going to license that so fast, they’re going to love you. 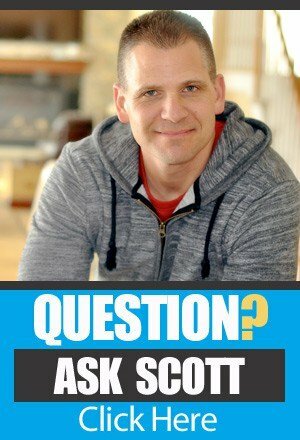 [00:26:28] Scott: Okay, so again and that’s where I was going like for me personally I’d rather go out there and establish that the products are already selling and then say, “Hey if you want to license this, you can.” The problem with that is, that I see is that one company is now if you license it to them now they’re directly competing with me. Correct? [00:26:49] Stephen: Well, it depends on the carve out. There’s another person I’m working at, he’s doing millions of dollars on Amazon. He doesn’t have one store, he’s not in one store and the largest company on the planet that’s got a 133,000 outlets wants it and I’m going to bet they’re going to sell more than you. The bottom line is, I think they’re going to let him do both. They are going to let him sell on Amazon because he’s got a presence, he does really good on the marketing and let them do their other business. There’s so many different variations, the bottom line is it’s always numbers. You have to look at what you’re producing each and every day, how much work you’re putting into it and you can look at how much, what they can bring to the table? How can they help you sell more? If the numbers don’t work out, you don’t license it, perfect. [00:27:38] Scott: So if you’re licensing it to them then it automatically is going to become their brand name? They’re going to put their brand name on it? Like so, if it’s a I don’t know a generic brand of their company, are they going to now say okay we’re going to, you can still sell yours as XYZ garlic press but we’re going to sell your exact same thing but we’re going to put ours on there as our brand or are they just going to sell your brand on their marketplace or both? [00:28:02] Stephen: It could be done many different ways. And you also have different packaging for different price points too. Okay, so you have to let them… The thing I like about licensing so much is that they understand their space very well and they’re going to understand what the price point needs to be, their audience needs and all those type of things. So let them do that and you might sell something completely different. That’s a variation, that’s packed out differently with a different price point. So it’s fine. But it’s not just one set thing I mean, you have to ask questions, understand their business, look at the numbers, see what they’re going to bring to the table. So it’s not just once, you know, you have to be a little flexible in understanding their business model and what you want to do too. [00:28:54] Scott: Okay, so let’s go back to how we find these people because I think that’s going to be a question. So what would be I mean you said go to trade shows. I think that’s probably an easy one because you’re going there, people are in there, if you’re going to a home & kitchen type gadget, type place, you’re going there and then you could say, “Hey just want to let you know I sell a garlic press and it does this that and the other thing, I’m looking for partners and I’m not sure if you’d be interested.” Is that kind of how the pitch would go, like something like that? [00:29:24] Stephen: Well I think the easiest way is that just go down to where you think your product is going to sell in the marketplace and if you think your product is perfect for Walmart, go down to Walmart. Take a look at it. Find that shelf space that it’s going to be on and then call all those companies that are there, simple. Don’t overthink it. [00:29:42] Scott: Okay, so the companies that are already on the shelf, those are the ones you want to go with because they’ve already made their way in. [00:29:48] Stephen: Yeah. In fact that’s how you’re going to piggyback on them. See they’re already there. So don’t reinvent the wheel again, find the guys that are there, find the guys that are selling a lot of product, show them a slight improvement on what they’re currently doing and they’re going to love you. [00:30:02] Scott: Okay, so the next question is… I’m going to keep giving you questions. The next question is, a lot of those are probably made your big brands, how do you get to the gatekeeper or through the gatekeeper? Okay, so you have to stop that. Everybody is thinking, “Why do they need me and why would they pay me and I don’t have experience,” that’s not true. People will love, you show them an idea that’s going to sell and they’re going to love you they’re going to say, “Come back with another one.” You’re not a problem. You’re an asset, so you have to shift your thinking. Some industries have been working with outside product developers and ventres, I don’t care what you call yourself for years. It’s standard. [00:31:47] Scott: Right, no that’s good. That’s really good. [00:31:49] Stephen: You know what’s crazy, everybody thinks it’s new. This isn’t new. This has been going on for a long time. [00:31:57] Scott: All right, all right. [00:31:58] Stephen: I’m just trying to share. I’m actually speaking at quite a few universities now. On Thursday and Friday I’m up at the university of Michigan talking about the traditional way and how this is an alternative to that traditional way of writing a business plan doing all that kind of great stuff. So I’m showing them another way of doing it and they’re loving it because they just realized that everybody wants to go into business. [00:32:23] Scott: Yeah, it’s definitely, it’s a great concept and I can see it working for sure. It’s just, it’s a whole other angle but it is a mind shift. I think a lot of us think, “Oh wow.” You know like why would this major brand that’s on Walmart like want to listen to me. I’m just a guy that just came up with something because I did some research. I mean that’s normal thinking. I mean think we all did that. [00:32:53] Scott: Yeah, please give it to us. Right. [00:32:55] Stephen: So and I also going to say one thing, don’t go after the big companies. Don’t go after the big guys. We always chase the Coca-Cola’s, the Pepsi’s, the PNG’s. Don’t go after those guys because they don’t need us. Go after the mid-sized companies. The big guys don’t innovate, they buy innovation. [00:33:15] Stephen: All right, find the mid guys that are hungry. Those guys will love you. So avoid the big guys, we always chase them. Don’t do that, it’s a waste of time and go after the guys that are hungry. [00:33:25] Scott: Okay, all right. So the last thing I want to talk about quickly is the, as far as the royalties. Like how is that decided? I know it’s going to probably vary on price point and all percentages and all that stuff but could you give us like just an idea of what someone could, like if I’m selling a $20 dollar garlic press and I made these modifications and that’s the going rate I mean I’ve established it because maybe I’ve already started selling it on Amazon and it’s doing well and you know what can I expect to give that away for as a licensing play? And then are there also and this is a double side question, is there also going to be which I’m assuming there’s going to be also some terms in there that say we’re going to buy your licensing you’re not going to go license it to other people now because we want to be the only one selling this product. [00:34:18] Stephen: Of course. Royalty rates, everybody thinks the royalty rate is what’s important. It’s not my opinion but standard royalty rates are about 5%. If you’re Disney you can get 12%. We’re not Disney, so we get five and it could be a little bit more. It depends on how much work you’ve done, depends if you’ve got a patent, it depends on a lot of stuff. Maybe get 7% but 5%, if you’re doing great, if you’re doing huge volumes, it could be as low as 3%. Okay so do the math, simple as that. Now of course everybody’s greedy, everybody wants an exclusive. Okay, so give it to them. Carve out what you need but before you give anybody an exclusive, find out how many stores are in. So it’s simple and plan on selling one a week. If they don’t sell one a week, that product is going to get kicked to the curb pretty fast. So do the math, estimate the wholesale price which your royalty is going to come off of, do a 3% to 5% to 7% so you know what, you know how some variations, figure out how many stores one a week, do the math and see if it’s even worth it. [00:35:28] Scott: Got you. Okay. [00:35:30] Stephen: So to me it’s quite simple. If you go to my website, you probably have. You’ll see this, our page were all these students of licensed ideas. Take a look at it. It’s in the hundreds and there’s inventors that make a million dollars a year easy and some don’t, some maybe $50,000, $100,000. It’s all over the board. So it all depends on the volume, depends if you get a hit. It’s like any business some of them. Some ideas are going to do great, some ideas will never see the light of day too. [00:35:59] Scott: Well, it’s the same thing with us, like you know us launching our own products on Amazon or our ecommerce store. Like some are going to win, some are going to be you know it’s okay, you know what I mean but that’s all about diversifying as well too. And that’s being an entrepreneur, you’re always pivoting, you’re always coming up with new ideas, new strategies and all of that stuff and business plans. [00:36:21] Stephen: It’s a numbers game. [00:36:22] Scott: Yeah, for sure and I think that’s great and I think that, that definitely gives us an idea as far as like if we were to license something and I think too the other thing is if you have something that does okay like you said then that’s not going to be the only product that you’re going to license now you’re going to have multiple products that you’re going to license and then you can be collecting the revenue on those in multiples versus it just being a single product. You probably could have a term in there, I’m sure that it’s also too like you know if after 12 months we don’t sell a certain number then I have the option to go license it to some of those. [00:36:55] Stephen: Yeah, every licensing agreement should have a performance clause. It’s called minimum guarantees. It’s really a gun to their head, I love this thing. It’s a gun to their head. If they don’t sell X amount, you get it back and there’s a number if you estimate the number of potential sales to 25% of that for the first year. If they can’t hit that number you get it back. Second year, raised it to 50% and third year maybe raise it again. I had one idea where the minimum guarantees was at $250,000 a year. They had to hit the number and I added a couple more technologies to it in that to being $750,000 were the minimum guarantees a year. They had to hit. So you know it depends on volume, it depends on a lot of things but the bottom line is this, it’s always a numbers game and so you come up with a lot of ideas, you submit them to a lot of companies and hopefully you’ll get that big hit or hopefully a lot of little hits and all that stuff. [00:37:54] Scott: Yeah, base hits are nice too. Yes. [00:37:56] Stephen: Yeah. I tell everybody, look really love this business and if you love it you’ll never work a day in your life and if you’re chasing dollars that’s usually a hard way to go. Don’t chase it, just enjoy it. Trust me the dollars will follow. [00:38:11] Scott: Yeah, I know and I love it. This has been great. This has been definitely eye opening for me as well as going through this process and I’m sure we could dig into it even more but if anyone wants to get more information from you and maybe a little bit more about this whole licensing thing, how would they get a hold of you Stephen? [00:38:29] Stephen: Well it’s real simple. I have this one book, that’s been selling for five years. It’s called One Simple Idea. It’s a yellow book, you can find it on Amazon. We have over 400 five star reviews. People love it. All the steps that I’m talking about from the very beginning to the end, there’re in the book. So get it. Or go to the public library, rent it, whatever. Number two, I have a YouTube channel called Invent Right TV, where we also talk about the ten steps all the time. I give this stuff away for free you guys. Just go get it. And then my main website is called Inventright.com where you can see a lot of information to give away for free. We have the largest library on this topic in the world. We have a licensing library, so if you want to read about it, I write for inc.com, I write for entrepreneur.com and core77.com. I love licensing, it’s been a great income for me, for my whole career. So find out about it, read about it, watch our videos, read the articles and do it. [00:39:39] Scott: Yeah, cool. That’s awesome. Yeah, definitely. I’ll be definitely checking out that book myself for sure. That’s awesome. So, yeah, I would definitely encourage anyone that’s interested in learning more about this to definitely go check out your stuff and I know I will. So again, Stephen I just want to say thank you so much for taking time out of your day and I’m sure I’ll be hitting you up for some questions I need answered on this topic when I get my couple of things that I’m working on right now. I might be looking at that licensing play. So that might be an interesting twist. [00:34:07] Stephen: I think you’re right there Scott. From what you’ve told me, you’re finding your small improvement and you want to get going. So thank you very much for having me on and let’s do it again sometime. [00:40:18] Scott: Yeah, absolutely man. Thanks so much. I appreciate it. [00:40:23] Scott: All right, so there you go. I mean that was a little different than we’ve talked about in the past, actually a lot different. Something that I never even thought about and it’s got me thinking and not something I’m necessarily going to do right this second but I’ll definitely keep my eyes and ears open and I’ll also be possibly exploring this with any future products that we think could fit this criteria or if we think that we could get a licensing deal. Definitely be looking into that and following what Stephen has laid out here for us. So again guys I want to remind you, if you want to check out the show notes, all the links we talked about, how to get in touch with Stephen, you can head over to theamazingseller.com/345. Again this is just information for you guys to be able to either use now or come back to in the future and say, “I think Scott talked about licensing with someone before,” and then you can just go and look it up on the blog. That’s where all the information is stored, that’s our home base, is theamazingseller.com and you can always search inside of the blog and find anything related to what you’re searching for right now today. So again remember, this is just something that I wanted to kind of hear a little bit more about maybe you know educate myself about it but then also let you be aware of this licensing thing which I have not heard much about in this space. So hopefully you got value from it, hopefully you enjoyed it and remember you can always get all the show notes by heading over to theamazingseller.com/345. All right guys that’s it, that’s going to wrap it up. Remember as always, I’m here for you, I believe in you and I am rooting for you but you have to, you have to, come on say it with me, say it loud, say it proud, “take action.” Have an awesome amazing day and I’ll see you right back here on the next episode. Love Stephen Key — I’ve been following him for a while now!! What I like about him is that, like you, he gives away so much valuable information — for free! Thanks for having him on the podcast and giving us all a different approach.